Medical billing and coding are often lumped together, making it sound as if they are one career. Really, though, medical coders and medical billers are two different professions. Although medical billing and medical coding are different, the professions do work together toward the same end result: using the proper insurance codes so patients are charged fairly for their diagnoses and treatments. 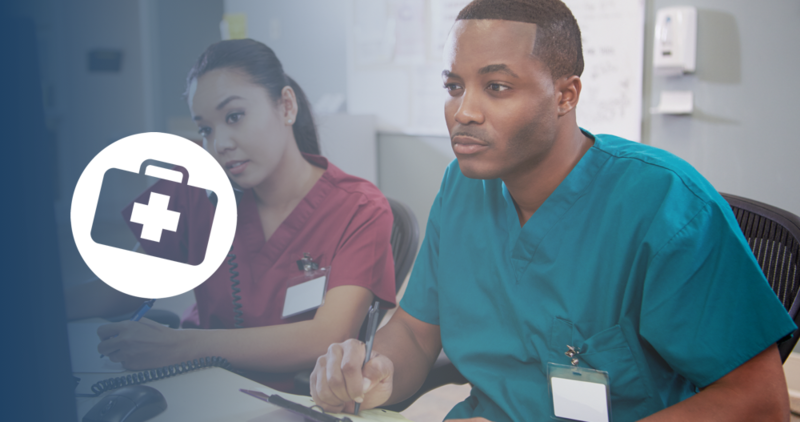 As a medical coder, you’ll make sense of the patient notes written by the nurse and doctor. From there, you will determine proper procedure and diagnosis codes. To make sure the coding is being done correctly, you are in constant contact with the doctor so you can gather as much information as necessary regarding the patient’s medical path. Medical billers take the information from the medical coder and the patient’s insurance and enter it into billing-specific software. You’ll send this to the patient’s insurance company, which uses the claim to determine the payment. You are also responsible for explaining all the insurance and billing to the patient. Especially with the changes in insurance, copays and upfront payment expectations have changed dramatically. Both the medical biller and medical coder work together constantly. You do share some responsibilities such as being in contact with the insurance companies as well as patients in varying capacities. Additionally, you both must be accurate. Medical billers and medical coders must correctly code claims. That way, doctors get paid properly, and patients are content that they are being charged fairly for the proper diagnosis. Americans have greater access to healthcare now than they’ve had in the past. Because of this, more people are taking charge of their health by visiting the doctor. And by 2030, the 65 and over population will be at 70 million—double from where it is today. Because more Americans will inevitably visit the doctor, this will create a need for more medical billers and medical coders. The job outlook is expected to grow 13 percent by 2026. This is much faster than the average of all professions. However, this will make the field of medical billing and coding more competitive. To get ahead and stand out, get the right training. Start by finding a school that offers coursework in billing or coding near you.